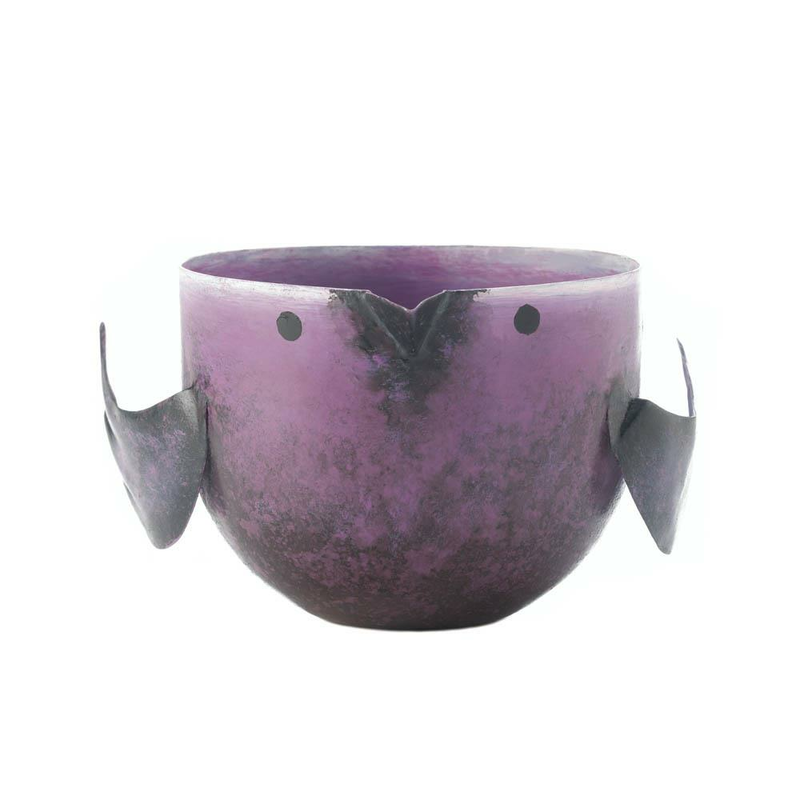 You won't be sorry you invited this purple birdie into your home! 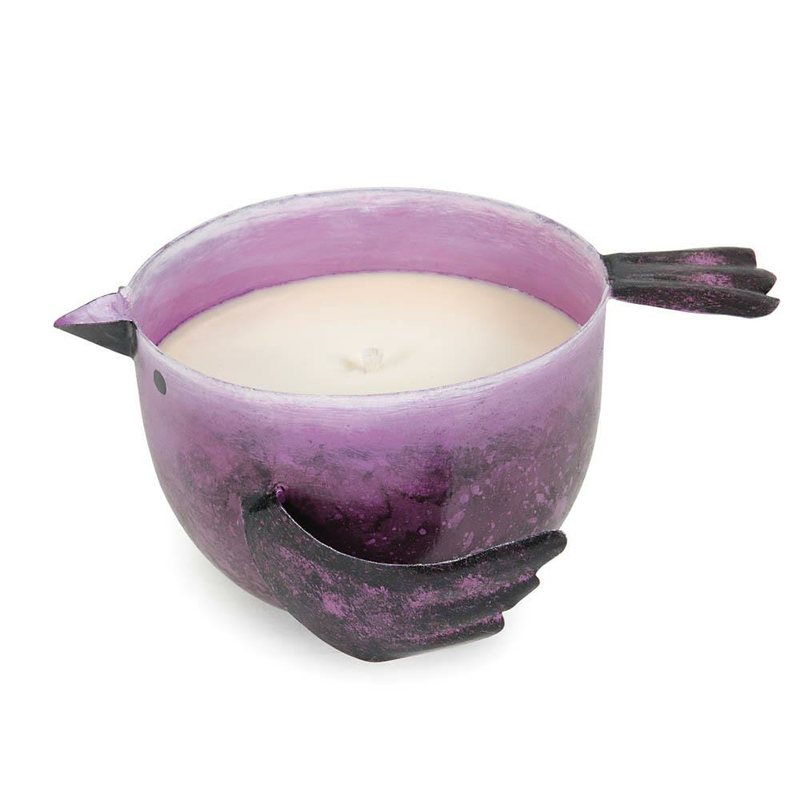 The iron birdie sculpture is absolutely adorable, and inside is a long-burning soy candle. When you light the wick, your room will be filled with sweet pomegranate aroma. Weight 0.6 pounds. 6.25" x 4.5" x 3.25". 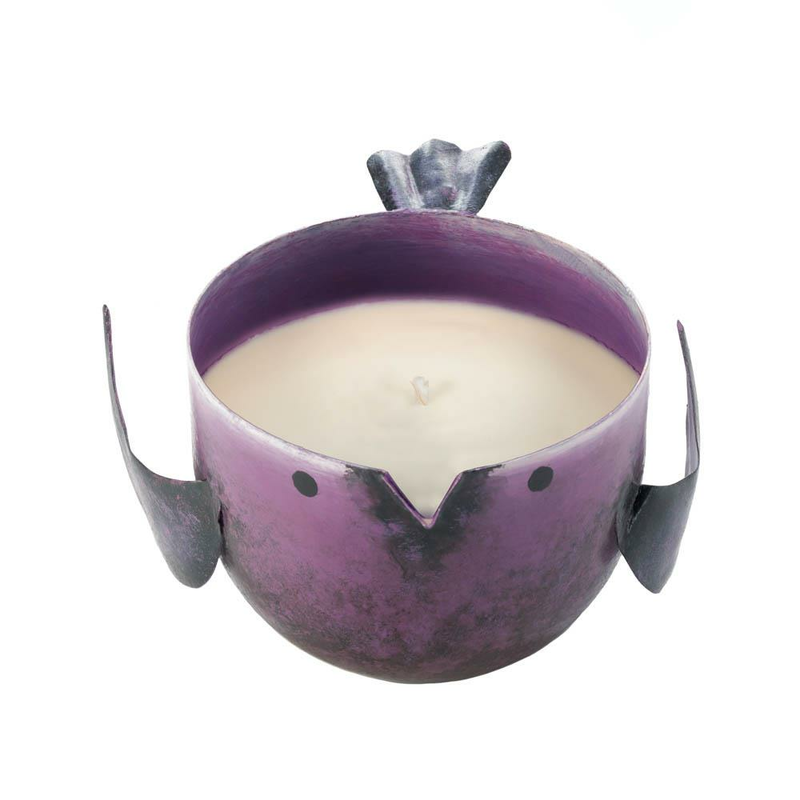 Iron, Soy blended wax. 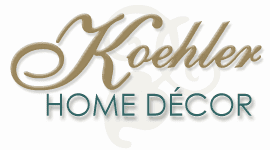 UPC Number: 849179030162.